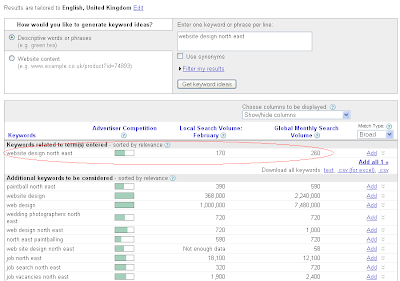 The Google Keyword tool is the first tool I use to find out more about keywords. Normally, when you decide to create a blog or a website you usually have a message or something you want to pass across. What do you want people to do on your website? You have to entertain them, but first of all you have to get their attention and let them know you have the thing they want. 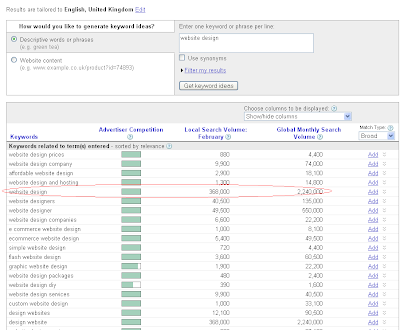 What they want usually should be what brought them to your website in the first place, your 'Keyword'. So you have to chose your keyword right by researching it properly with the right tool to make sure it is something people want. That's where the Google Keyword comes in. There are two main ways to use the Keyword Tool. You could use it if you specifically have a keyword in mind and you want to get other ideas or synonyms for the key word. The other method is when you have a website but don't have any keyword in mind and any word would do (honestly, I don't think this is a good idea because you would be loaded with too many options, I'll rather avoid it). So I'll focus on a specific keyword. There are three main columns: Advertiser Competition, which we will come back to, Local Search Volume and Global Monthly Search Volume. 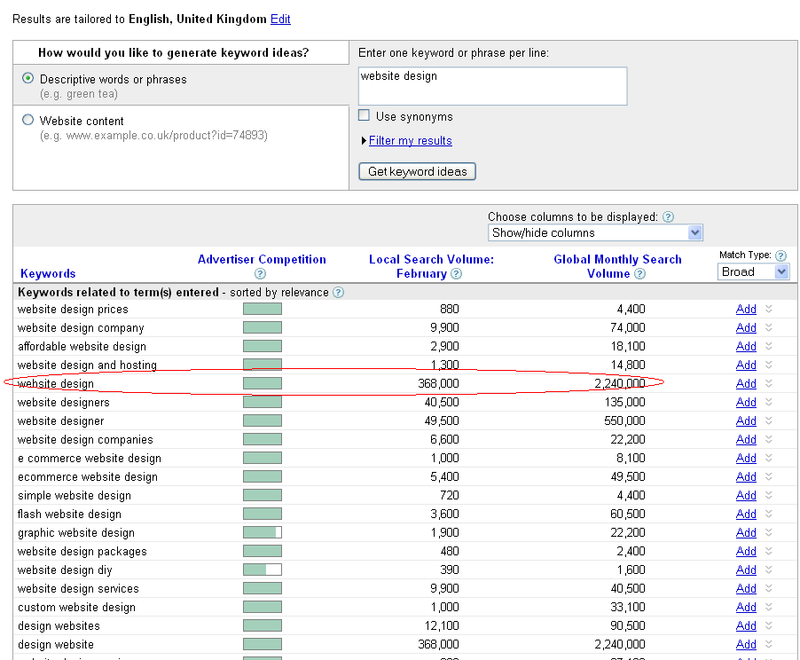 My results are tailored to United Kingdom searches so that's what the Local Search Volume means searches in the UK; In February, there were over 350,000 people in the UK searching for 'website design'. Now that is a very good number. However, if your company is International you want to look at the Global column which shows over 2 million searches, even better. Just think about all those people coming to your website... the power... the money you could make with all those people! 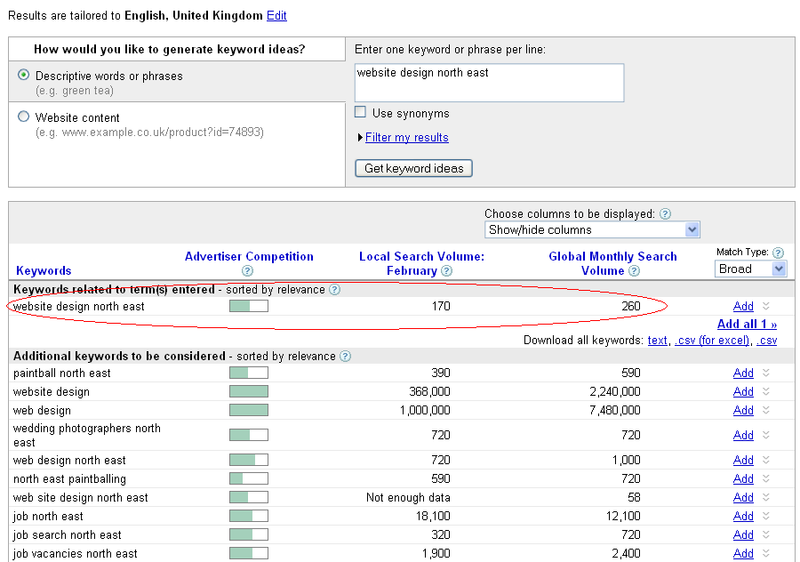 But sadly the Advertiser Competition column is on maximum, meaning a lot of people are competing for that keyword. If you are new to the SEO business then believe me, you don't stand a chance. New websites are very very poor competition to websites which have been around since the 1990s. So if it's a new website, pick on keywords which are not in high demand and then you stand a better chance at being found. The other method of using the Google Keyword involves the tool searching through your website to find the most common keywords and then bringing out a similar table. However, like I said, this can give you some very weird keywords which are quite pointless to your website, so I would never recommend anyone use this. Unless you want to use it for a particular webpage. That's crash course in using the Google Keyword Tool. My next post will touch on the other two tools, Google Analytics and Google Webmaster so stick around. Thanks for the feedback, dude. Great article... however, I am rushing on to read the rest too... thanks. Lol, take your time. Look forward to seeing more of you around too! This is nice from a Nigerian. Thanks for sharing your seo secrets with me. Look forward to seeing more of you around. @Mfon, thanks for the vote of confidence. Feel free to drop a line any time. Hi! Thanks a lot for the comment! And yes, I absolutely know what you mean... Hopefully, with time, more of us will continue to show ourselves. I just came across this blog while I did a google search for Google Keyword Tool. Great site. I will definitely be back soon.